The popular CrossFit veteran suffers an unfortunate stroke of bad luck. Emily Bridgers has withdrawn from the 2018 CrossFit Games due to an injury that she sustained during The Battleground Event. “Update for everyone: I dislocated my ankle earlier and most likely tore some ligaments. I was dropping from the rope wall on the obstacle course and just took a bad landing in the sand. Next thing I knew my ankle was facing the wrong direction. It popped back in, then out again, and back in. 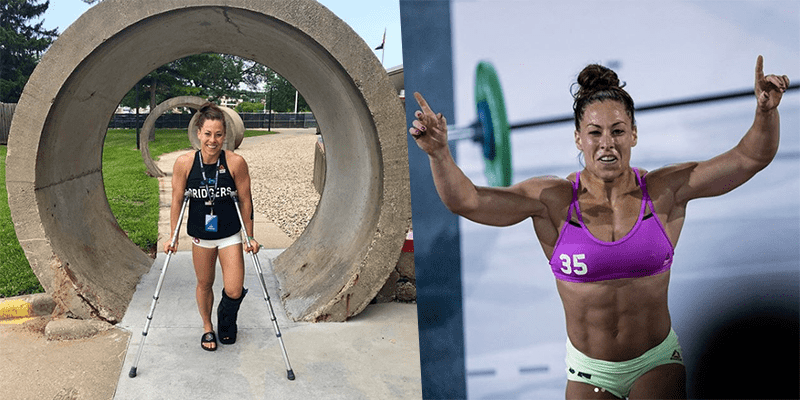 Emily bridgers had already made the decision to retire after this years CrossFit Games, however this injury will unfortunately bring her CrossFit Games Career to an end quicker than anticipated.